PokerStars is expected to be on the outside looking in regarding possible licensing in regards to New Jersey online poker and other forms of internet gaming, following a decision by New Jersey Division of Gaming Enforcement (DGE) regulators to suspend the application of Stars parent Rational Group Limited for that period, pending possible changes in circumstance. At issue is the unresolved federal indictment served upon PokerStars founder Isai Scheinberg for his alleged illegal banking activities in conjunction with the payment-processing operations that led to the “Black Friday” crackdown against Stars and several other companies. According to a statement released on behalf of DGE head David Rebuck, “The Division’s determination is based primarily on the unresolved federal indictment against Isai Scheinberg for the alleged violation of federal gambling statutes, namely, the Illegal Gambling Business Act and the Unlawful Internet Gambling Enforcement Act (UIGEA), and the involvement of certain PokerStars executives with Internet gaming operations in the United States following the enactment of UIGEA. Scheinberg, according to widespread but technically unproven reports, has remained in tight control of the privately held PokerStars along with his son, Mark, in seeming contravention of an agreement reached between PokerStars and the Department of Justice in 2012. That massive settlement, in which PokerStars also acquired the assets of Full Tilt and agreed to reimburse US Full Tilt players for their losses, included a statement that PokerStars admitted no criminal wrongdoing in connection with the Black Charges, but also agreed to have Isai Scheinberg step away from PokerStars operations, to possibly face his separate indictment individually, but in any event for Scheinberg to divorce himself from future Stars business. However, the indictment against Scheinberg remains unresolved, and he is technically a fugitive from US justice. Scheinberg, PokerStars finance exec Paul Tate, and infamous Absolute Poker founder Scott Tom are the only three of the 11 individual Black Friday defendants who have not surrendered to the US justice system. Otherwise, the company had no comment, with the corporate setback not included in the weekly “News Digest” distributed by Stars to poker media. 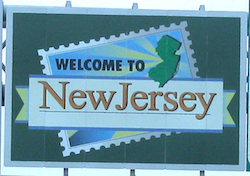 The action by New Jersey is typical for the state’s gambling regulatory regime, which seldom issues decisions cast in stone but instead prefers allow an avenue for change, with the real conflicts often hidden between the lines. Though there is technically no ban on PokerStars or Rational, nor a formal two-year sitout period, the actual effect remains the same, as it is unlikely a possible case against Scheinberg and and an actual and provable removal of the powerful company founder could be proven to DGE satisfaction in a shorter timeframe. If there’s a secondary loser, it’s Atlantic City’s Resorts Casino Hotel, which had partnered with PokerStars with plans of offering Internet poker and other games powered by PokerStars’ software expertise. Resorts Casino Hotel AC, now operated by New York’s powerful Mohegan tribal nation, will now need to scramble to catch up with the seven Atlantic City resorts already licensed to offer online gambling services in the state. While alternate vendors are plentiful, even a fast-tracked applications and testing process could take several months. Further, lacking the PokerStars software cachet, Resorts Casino Hotel AC may find its efforts to capture significant online market share in New Jersey a steep uphill battle.